Days before Morocco sends a delegation to Geneva to attend a round table, convened by the Personal Envoy of the Secretary-General for Western Sahara Horst Kohler, Khat Achahid (the Martyr’s Line), an organization that opposes the Polisario’s leadership, issued a communiqué indicating that its members want to take part in the meeting scheduled for the 5th and 6th of December. On Sunday, December the 2nd, the founder of Khat Achahid Mahjoub Salek published on his Facebook page a statement drafted by the organization. The latter urges Horst Kohler to allow the Martyr’s Line’s representatives to attend the round table, to be attended by Algeria, Mauritania and the Polisario. In its communiqué, the organization stressed that its presence is important as it would reflect the «needs of Sahrawis affected by the conflict inside and outside the Tindouf Camps». Khat Chahid argued that the Polisario’s leadership «doesn’t represent all Sahrawis and campaigns only for its benefits». 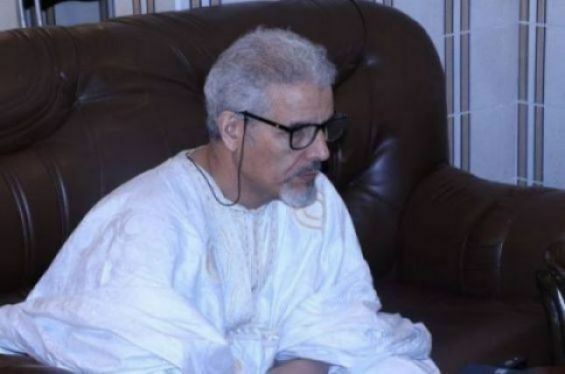 Moreover, the Martyr’s Line called on the United Nations and the international community to «send independent international observers to the camps», referring to the Polisario’s leadership. Meanwhile, the organization founded in 2004, called Morocco and Algeria to conduct serious and fruitful negotiations to find a solution for the conflict. For the record, the Polisario revealed last week the names of officials attending the Geneva talks. The list, however, did not include members of the above-mentioned organization. SPS proudly published the names of representatives designated by the Polisario to take part in the round table. The «Speaker of the Polisario’s parliament» Khatri Addouh, its coordinator with the MINURSO M’Hamed Khaddad, and the secretary general of the National Union of Sahrawi Women Fatma El Mehdi are flying to Geneva in December. The Front’s delegation includes two other members, namely Sidi Mohamed Omar, representative of the Polisario to the United Nations, and Mohamed Ali Zerouali, adviser to the secretariat of Front. According to the same source, Algeria is sending its Foreign Minister Abdelkader Messahel alongside diplomat Abdellah Baali and Algiers representative to the United Nations Sabri Boukaddoum. On the other hand, Mauritanian Foreign Minister Ismael Ould Cheikh Ahmed is the only official to represent Nouakchott in Geneva. Meanwhile, Foreign Minister Nasser Bourita is heading the Moroccan mission sent to Switzerland, alongside Mohamed Yassine Mansouri, the director of Morocco's external intelligence agency (DGED).